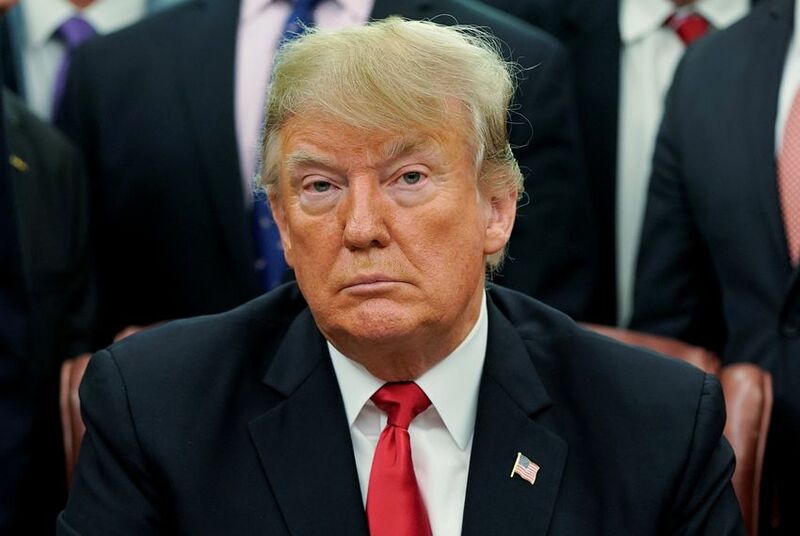 Parts of the U.S. government will shut down at midnight on Friday, thanks to a fight between President Trump and Congressional Democrats over funding a border wall. A standoff between ascendant Democratic congressional leaders and President Donald Trump over one of his signature campaign promises turned into a full-on stalemate on Friday. Frantic negotiations took place at the Capitol all afternoon. But members from both chambers left the U.S. Capitol in the evening without reaching a deal, meaning government funding would lapse after a midnight deadline. Depending on negotiations, the shut down could possibly last through the Christmas holiday and into the new year, when Democrats are poised to take control of the U.S. House. Not all parts of the federal government will shutter: The president signed bills earlier this year that would keep much of the government in operation into 2019. But it will still affect dozens of agencies, including "the departments of Homeland Security, Transportation, Interior, Agriculture, State and Justice, as well as national parks and forests," according to the Associated Press. Senate Democrats further provided data to the AP stating that a number of necessary federal employees – including border patrol agents – will be called on to work without pay. Traditionally, such federal workers have received their pay retroactively after a shutdown ends. The Office of Management and Budget did not respond to an inquiry from the Texas Tribune about the status of border patrol pay. Additionally, NASA employees would be furloughed. There is some hope, however, that lawmakers and the president could resolve the negotiations over the coming days to avoid immediate impact on the average citizen. Many Americans will not be working or needing federal services, thanks to the weekend and Christmas holiday on Tuesday. Earlier this month, Democratic leaders made clear they would not support Trump's request for $5 billion to pay for his signature campaign promise, a border wall. Even so, most members of Congress spent the early part of the week operating under the belief that Trump would sign a temporary funding resolution without a border wall provision that would keep the government open through February. The measure passed the Senate on Wednesday night and members of the chamber, including Texas Republican John Cornyn, returned to their home states for the holidays. But on Thursday morning, Trump reportedly changed his mind after right-wing critics launched invective his way for giving up on funding the wall. Trump threw the status of government into chaos with a series of tweets, sending senators, including Cornyn, scrambling back to Washington. Later Thursday, the U.S. House passed another funding bill that appeased Trump, but the Senate had yet to pass the legislation as of early Friday evening — and was not expected to. Senate Republicans were unable to reach the 60-vote threshold needed to secure passage, creating a stalemate as the government was hours away from the midnight deadline. There is a chance that Congress and Trump will be able to resolve the conflict and re-open the government before the new year. Trump's most prominent 2016 campaign promise was the construction of a "big, beautiful" border wall. But, at the time, he repeatedly promised to force Mexico to pay for it. Yet a televised meeting between Trump and Democratic leaders at the Oval Office last week devolved into arguing over Trump's demand for wall funding. "I will be the one to shut it down, I'm not going to blame you for it," Trump said to U.S. Sen. Charles Schumer, D-NY. But on Friday, Trump blamed Democrats for the impasse. "It's really up to the Democrats, totally up to the Democrats, as to whether or not we have a shutdown," Trump said. "But it's possible that we'll have a shutdown, I would say the chances are probably very good, because I don't think Democrats care so much about, maybe, this issue, but this is a very big issue." Cornyn chimed in, tweeting: "If it happens it will be Schumer shutdown 2.0." The shutdown fight was but one drama of many in Washington this week. And while the shutdown will be the one most immediately felt by most Texans, Thursday's resignation of Defense Secretary James Mattis sent shockwaves throughout American politics. Mattis stepped down from his post after Trump announced he would withdraw most U.S. forces from Syria and reports surfaced that the president was considering similar action in Afghanistan. Those backing Mattis over Trump included some prominent Texas Republicans. U.S. Rep. Mac Thornberry, R-Clarendon, the outgoing House Armed Services chairman, issued a joint statement on Thursday with U.S. Rep. Adam Smith, the Washington state Democrat who will take the gavel from Thornberry in the New Year when Democrats take control of the House. The pair wrote that they are "concerned that it would be a strategic error" to initiate a precipitous withdrawal from Syria. A day later, Thornberry issued a solo statement calling the reports of troop withdrawals from Afghanistan "deeply disturbing." Cornyn contributed to the dialogue, retweeting a sharp message from U.S. Senate Majority Leader Mitch McConnell that called the Mattis decision "regrettable." Even the legacy legislation Cornyn just ushered into passage – an overhaul of the country's criminal justice system – was overshadowed with the drama when Trump signed it into law on Friday. "We've had a very busy two or three days. It's been very positive," Trump said. "Things are happening that haven't happened in our government for a long time."